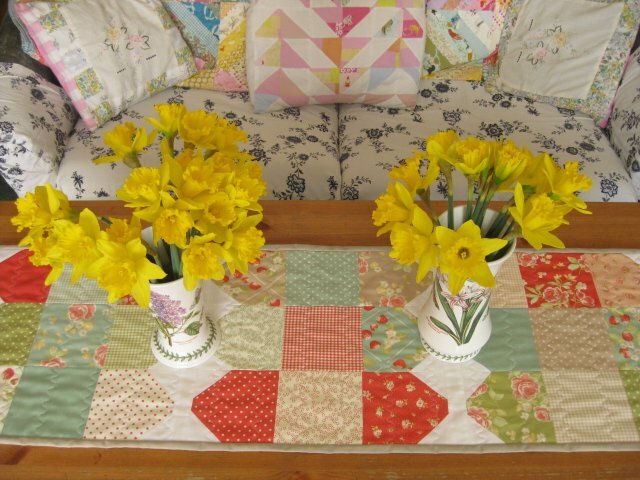 "I have been putting a bit of spring into my living room decor by discovering the heady world of making table runners. 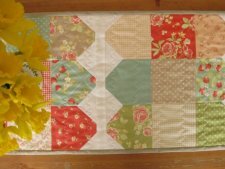 Quick, easy and perfect for injecting a bit of seasonal splendour (without the rain bit) into your home. 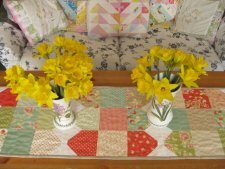 "Having become a bit of a convert/table runner making factory, I have been stitching up a forthcoming storm of them, so expect more in terms of dresses for tables from now on." Be sure to take a look at Aneela's Tutorials Page.